Challenge yourself to run the extraordinary feat of 26.2 miles with Team Chance for Childhood in one of the world’s biggest marathons! As Guinness World Record’s largest annual fundraising event in the world, every year thousands of people enter the ballot to run the London Marathon from across the globe. In 2018, a record-breaking 414,186 people entered the ballot – but only around 40,000 are randomly selected to run the race! Running for a charity provides you with a guaranteed entry to run and for a worthwhile cause. Since 1981, London Marathon runners have raised an amazing £890 million for charity. 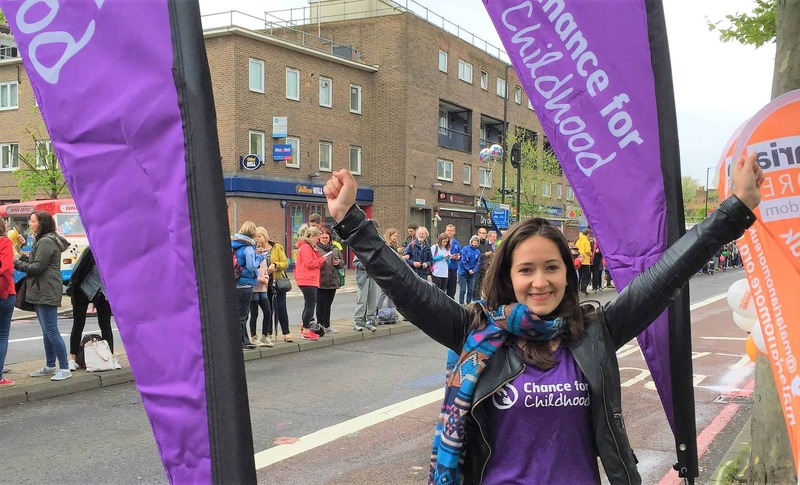 Applications for the 2019 Marathon are now closed and Team Chance for Childhood is getting ready for the big day on the 28 April! Keep an eye out on our social media channels to follow the progress of our biggest London Marathon team yet. Applications for 2020 will open shortly. Our charity places guarantee you a spot at the Marathon, but we only have a limited number! Make sure you apply quickly when they open so you don’t miss out! Are you one of the lucky ones who has already secured a place at the London Marathon? We would still love to have you on Team Chance for Childhood! Get in touch at supportercare@chanceforchildhood.org or call us on 01483 23 0250 to learn about how we can support you. Find out more on the London Marathon website.